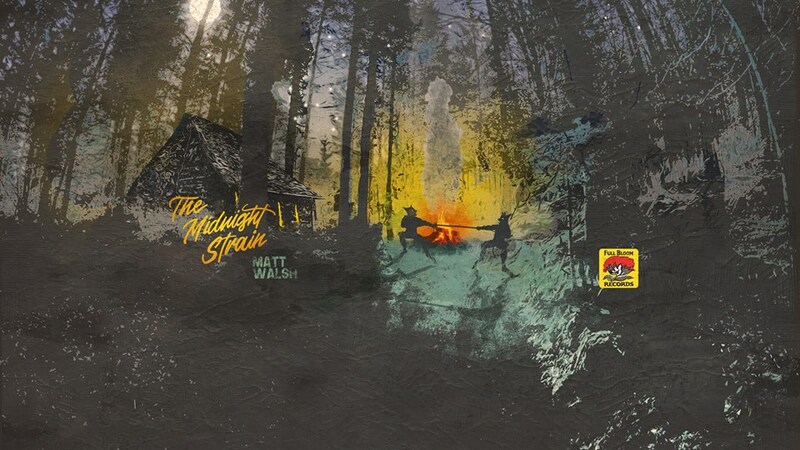 Matt Walsh is a vocalist, guitarist and prolific songwriter from Statesville NC who performs 200 plus shows a year either solo or with his rhythm section, ‘The Movers’. His album ‘Life After Rock N Roll’ (2017 Full Bloom Records) has been hailed by music publications and played on radio stations in the US, Canada, Germany, Italy, Spain, the Netherlands and Australia and his new release, ‘The Midnight Strain’ (2018 Full Bloom Records) is quickly catching up to that status since it’s release on November 10th. Matt’s sound is a clever blend of numerous styles of the music that have influenced him since his youth – early electric and country Blues, Rock N Roll, Rockabilly, Soul, R&B, Country, Bluegrass, Jazz and Psychedelia. His focus on making all original music by combining the influences that inspired him, along with his own ideas, have produced an exciting blend of many genres without rules or limitations. His exposure to music came first came from his mother through her love of Motown. When Matt was 9 years old, she took him to a Prince concert and afterwards, he knew he wanted to be a musician. His musical education began with his late uncle who turned him onto a record collection that included early 1950’s electric Blues and 1960’s Rock which inspired Matt to play guitar. When he was 13, Matt got a knock off electric guitar for $25 at a flea market and set out to learn the instrument. He furthered his musical education when he began absorbing the music on old record labels, notably Chess, Sun and Stax . Less than a decade later, he began performing in clubs and in the years to follow, he established himself as a highly regarded musician in the Blues world with his first release, ‘Hard Luck’ (2007), as one of the few artists in the genre capable of writing relevant original material without relying on any cover songs from the past. The album got rave reviews in multiple music publications, radio play on stations around the world and a featured spot on XM 74 Satellite Radio as a ‘Pick to Click’. Around this time Matt joined Bob Margolin (guitarist for Muddy Waters 1973-1980) and performed with some of his heroes, legendary artists like Howlin’ Wolf’s guitarist Hubert Sumlin, Pinetop Perkins and Willie “Big Eyes” Smith. Matt released his first solo album in almost a decade, ‘Life After Rock N Roll’ on Full Bloom Records November 17th 2017. The album reignited his standing as a solo artist and found him stretching out to make powerful, refined music that was entirely different than any of his previous works. Matt just released his third full length studio album, ‘The Midnight Strain’, on Full Bloom Records on November 10th 2018 and it has received rave reviews and a wealth of radio play. He is currently working on another album that he recorded recently at Columbia Records Studio A on Music Row in Nashville TN which he plans to release in 2019.